Me, You and Magoo: Should we talk to children about frightening world events? Should we talk to children about frightening world events? 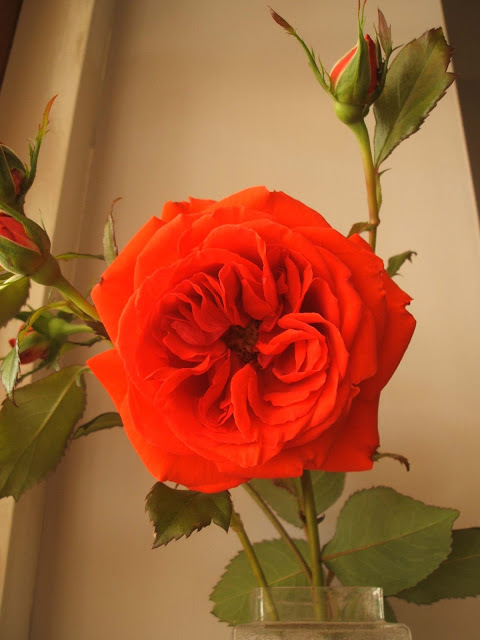 I had planned to blog about roses this week. In particular, I wanted to blog about the last flower clinging onto this plant at the bottom of the garden. 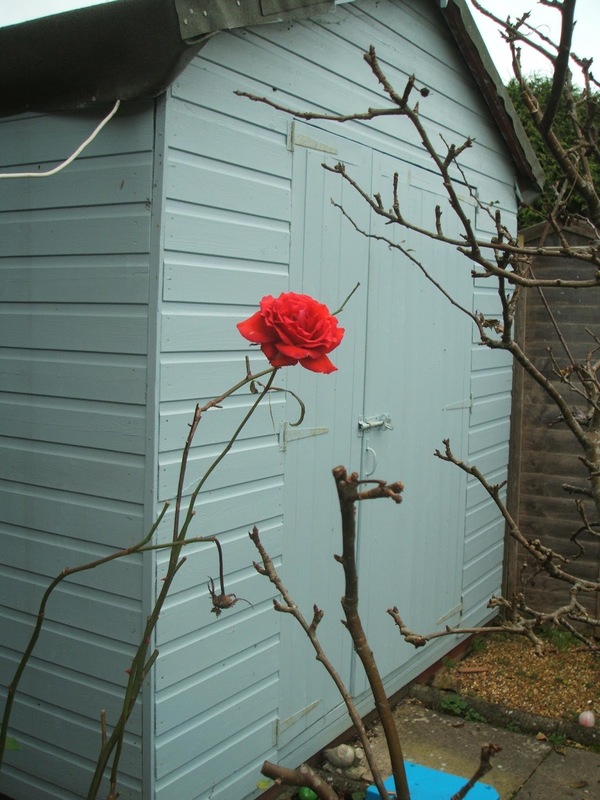 I couldn’t believe there was a lone rose still in bloom in November. But all this seems so trivial compared to recent events in Paris. I generally blog about our allotment, crafting and my vintage finds. I'm aware of how lucky we are to have a safe and comfortable life. My mind is a jumble of thoughts at the moment and I wanted to try and write some of them down. This isn't just about Paris, there is so much sadness and killing of innocent people in the news and it is hard, even as an adult, to process it all. Blogging about gardening feels unimportance at the moment. And yet, this rose has become more poignant to me after last week’s terrorist attack. 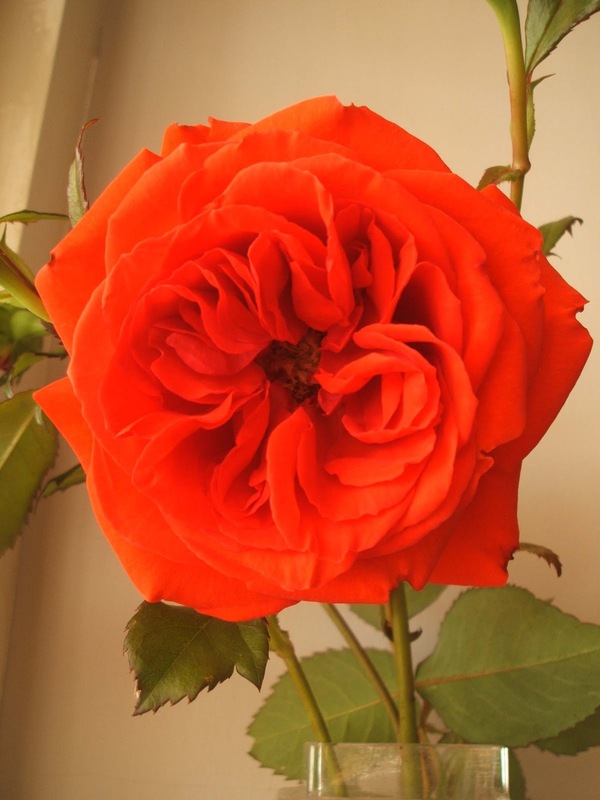 All the other leaves have withered and fallen to the ground, but a single crimson rose flowers on. Life prevails. My late-Grandmother always said “where there’s life, there’s hope”. You could argue that I am naïve, but I refuse to think that all we have ahead of us is fear and hatred. As a Mum I worry. We want our children to feel secure, but our world seems increasingly insecure. We have not watched the recent news whilst Magoo has been around…we watch it when she has gone to bed. As I flicked through the channels yesterday, she happened to see some of the Paris vigils at the end of the evening news and asked: ‘why are those people so sad?’. My husband told her people in France had died and their family and friends were very upset. His explanation avoids the topic of terrorism, but Magoo is six and I think it was better to say something than nothing at all. Magoo experienced her first taste of grief last year when her Great-Grandmother died. We’ve always been open about the topic of death. We’ve talked about it being a natural part of the cycle of life. Admittedly we talked about it in the context of old age or illness. Broaching the subject of people losing their lives prematurely through violence is probably too much for her at the moment. I’m aware that Magoo is one of the lucky ones, the fear of violence and death are part of some children’s daily lives. I want to be engaged with the world we live in, I don’t want to turn away. I want Magoo to be engaged too, but it's hard to know when it is appropriate and how to talk about these topics. This piece in The Guardian suggests we “give children the chance to tell you what they know and how they are processing it”. I'm sure as Magoo gets older, she will have more questions about the wider world. There will be events that scare her. Fear is a normal reaction, maybe we shouldn’t try and shield our children from it completely. The vast majority of people in our country are aware of the dire situation in places such as Syria, Beirut, Kenya and the loss of innocent life across the globe. But we feel helpless in the face of it all. So it is truly amazing that there are people out there making a hands-on effort to help. The police, paramedics, doctors, security guards and aid workers have my utmost respect. They are usually first on the scene when tragedy strikes. They go into the eye of the storm when everyone else is understandably running for their lives. Similarily, charities supporting refugees and organisations such as Medicine Sans Frontier work in some of the most dangerous parts of the world. They provide ongoing support once the world's media have moved on. So maybe this rose isn’t so trivial after all. It has encouraged me to write down my deeper thoughts and feelings and in the process I have read more widely on the subject, it's good to feel more informed. 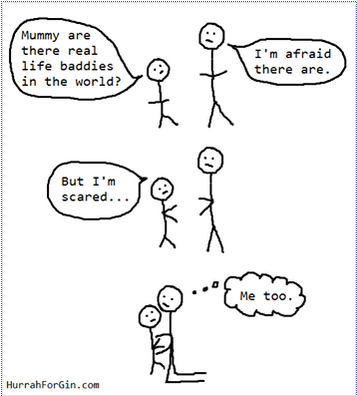 I also feel more confident about talking to my daughter if she asks questions in the future about serious world events. Above all, I agree that we need to focus on the helpers. It is a positive we can take from this situation. We must try and support each other, we must support those who help others. There are far more people on this planet who want peace rather than hatred. We mustn’t think that all is lost and the world is a terrible place. There is an alternative to hatred. And we should be encouraged to share this with our children. It's been a week of much thought and reflection here. Kitty has been watching the news and is very matter of fact about it. It doesn't seem to make her scared or angry just really sad. She's learnt enough from school (and indeed me) about poverty in Africa and war in Syria to understand the world can be very different for people than the world around her. She told me that the attacks in Paris made her sad, like the children with no clean drinking water in Africa and the families who have no homes in Syria. Bad people attacked people in Paris and bad people don't help children have clean drinking water. Very black and white, which surprised me and also put things in perspective for me, the whole thought that tragic things happen every day in the world and that it's better to focus on how to help make it better than to wallow in the anger of it all. I totally avoided Facebook for just that reason. Thank you for taking the time to comment Annie. I think your daughter is very perceptive...and her thoughts pretty much sum up the world today. Bad things are happening all the time & we definitely need to put energy into helping, if we can, rather than being angry. I was brought up by my nan who lived through two world wars in London. She also had a wife beating, adulterous husband aka my grandfather and I wonder how she ever lived through such times when she had a child to look after, then had a baby in the war, being bombed out again and again and spending hours in air raid shelters. Somehow she did and that gives me hope but it doesn't mean I want to face such times myself.